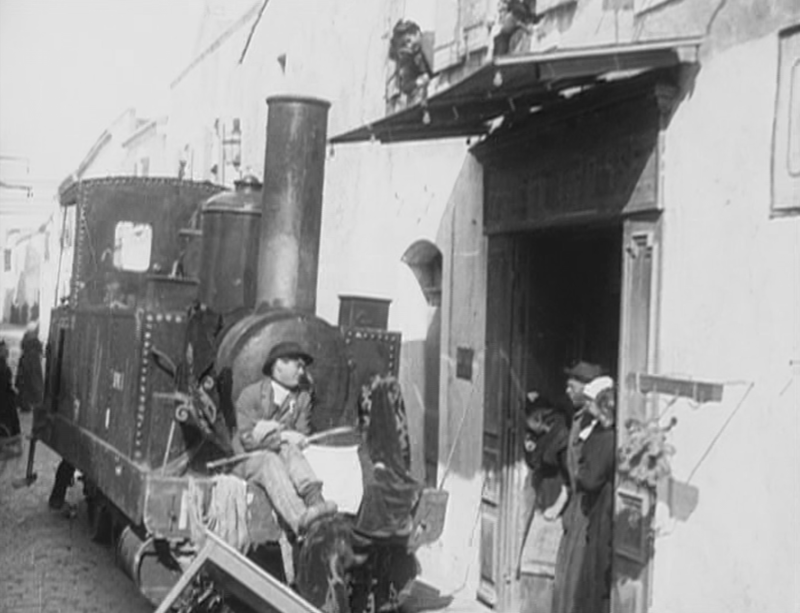 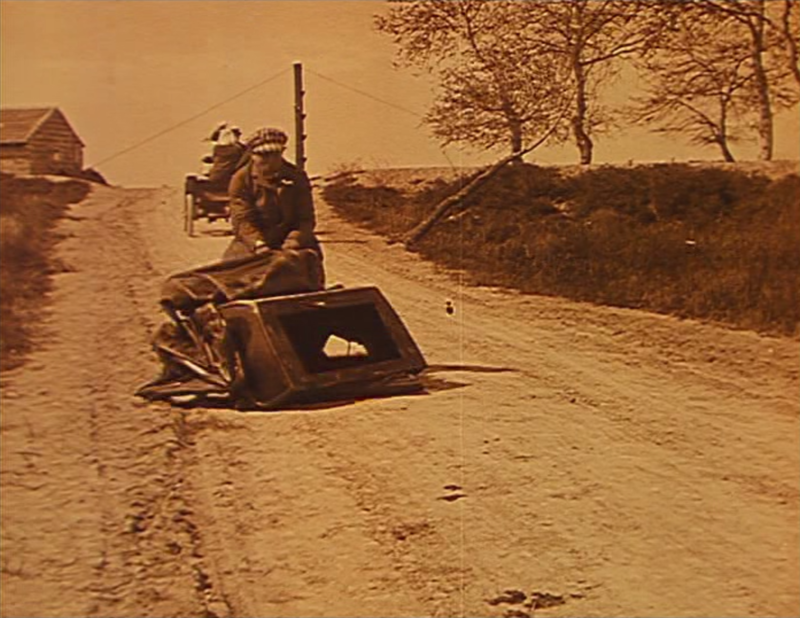 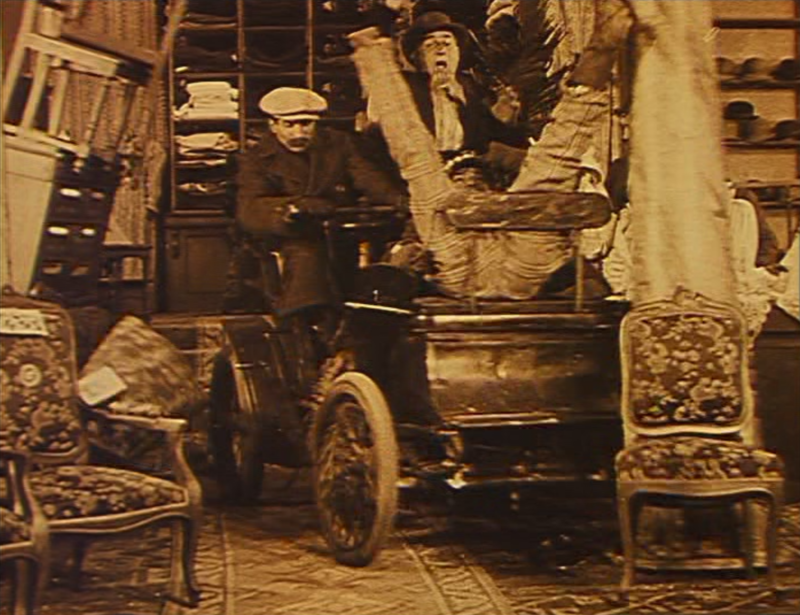 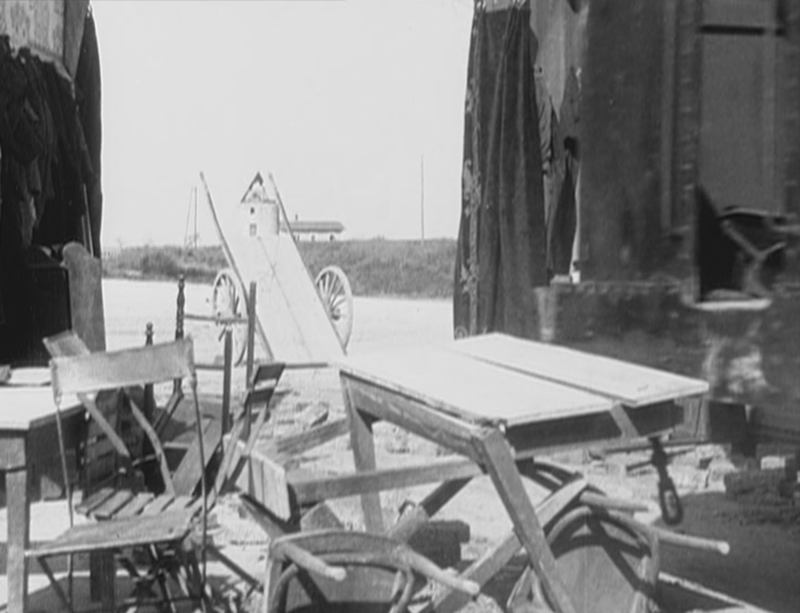 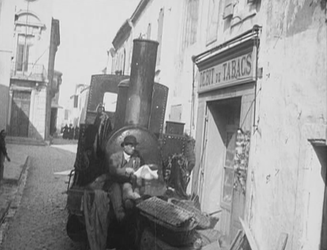 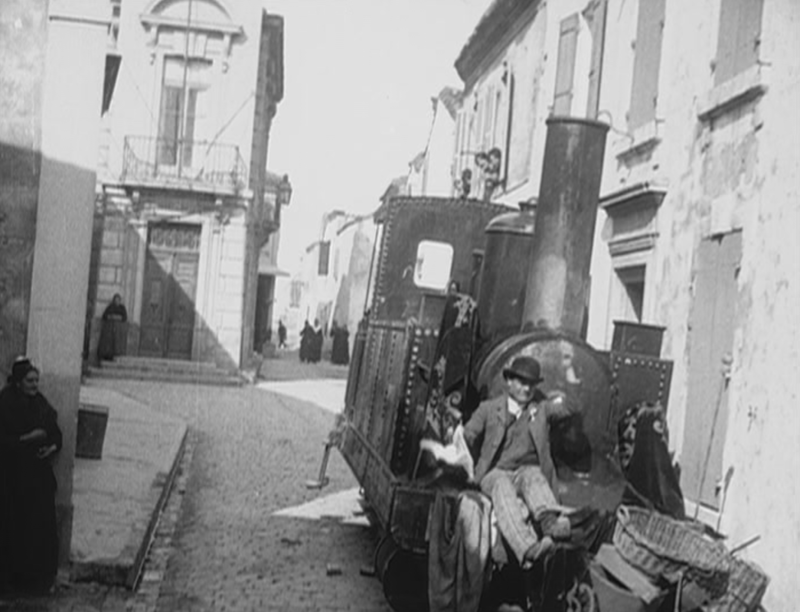 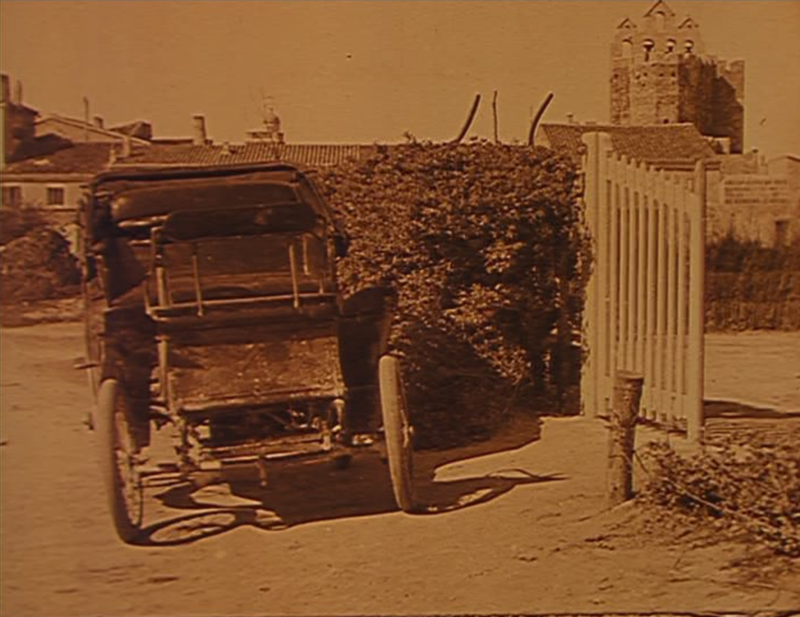 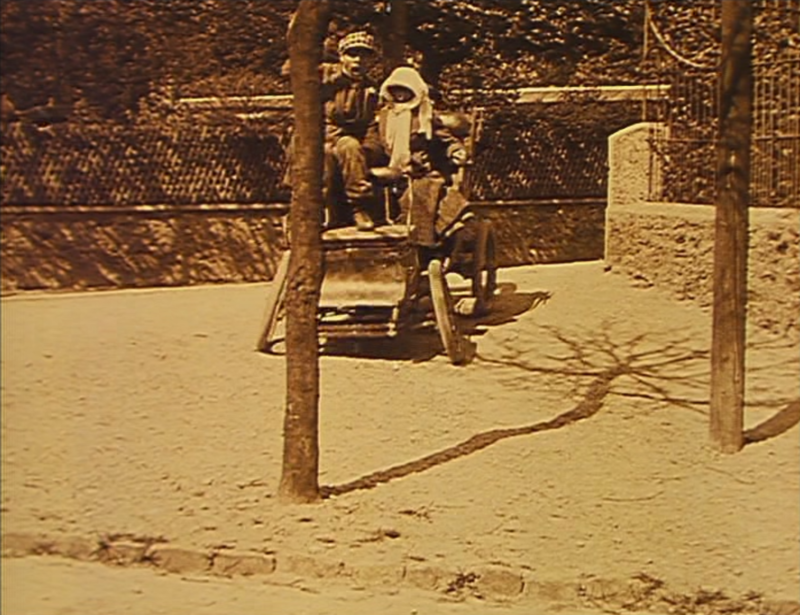 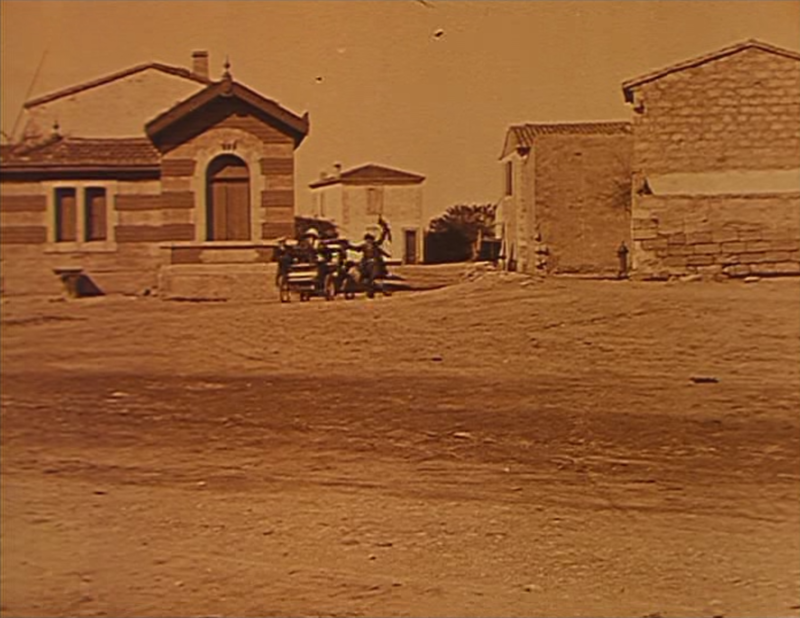 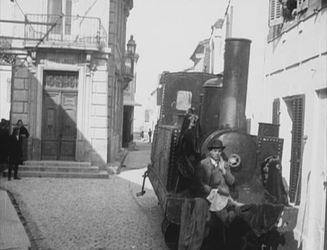 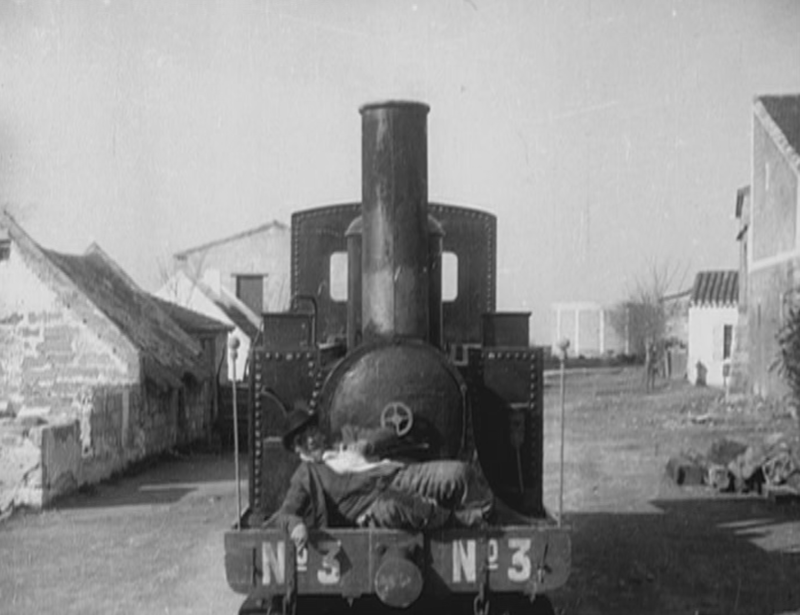 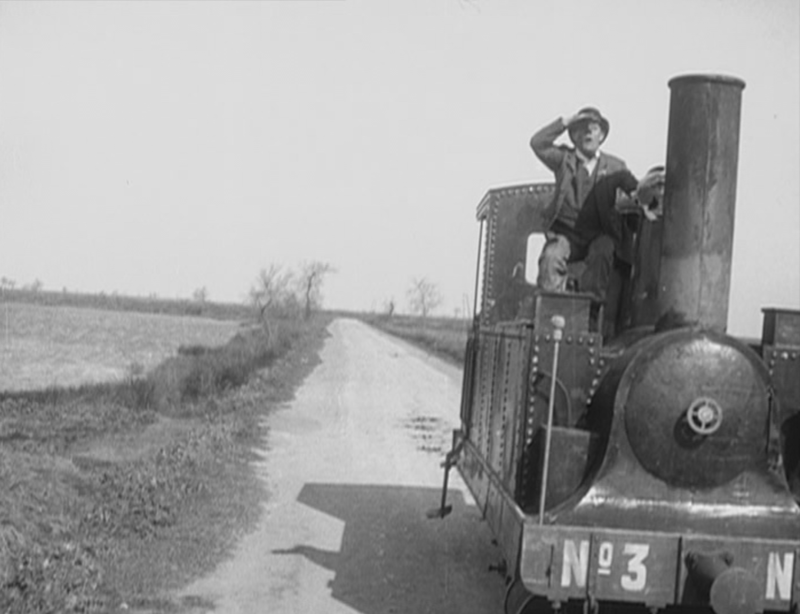 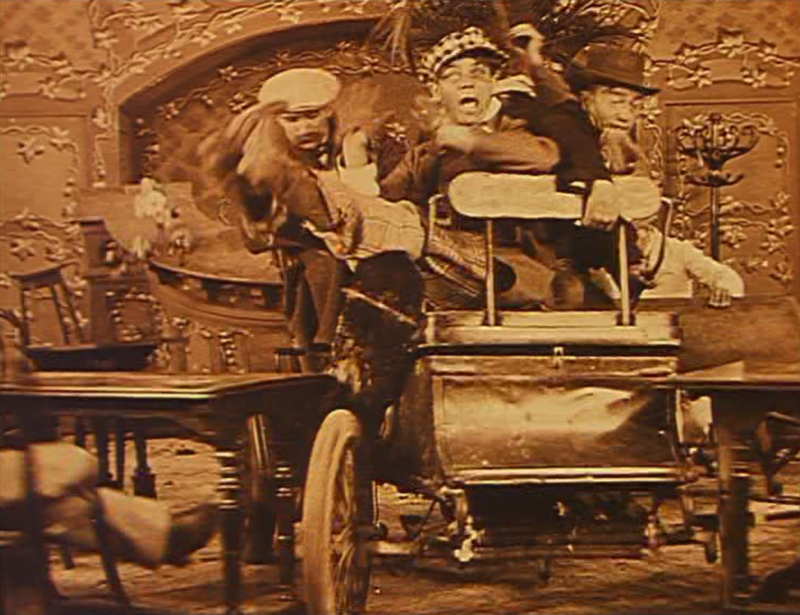 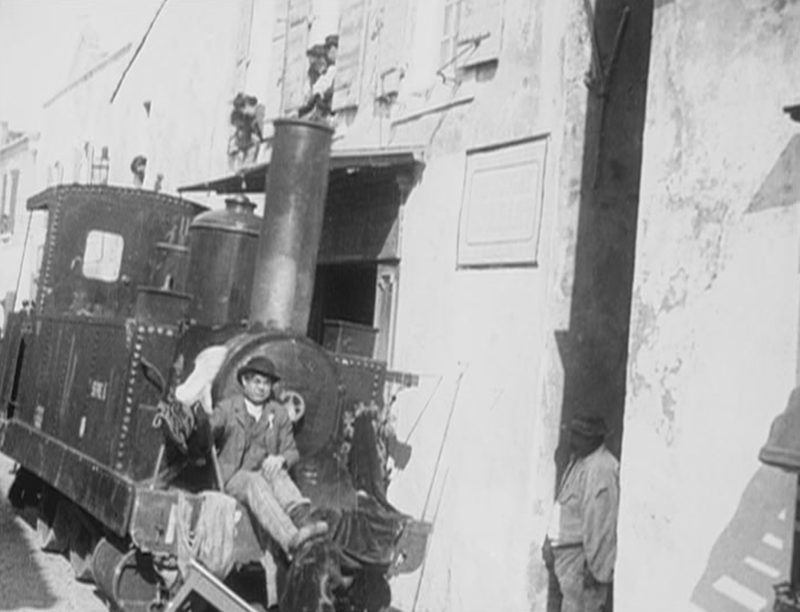 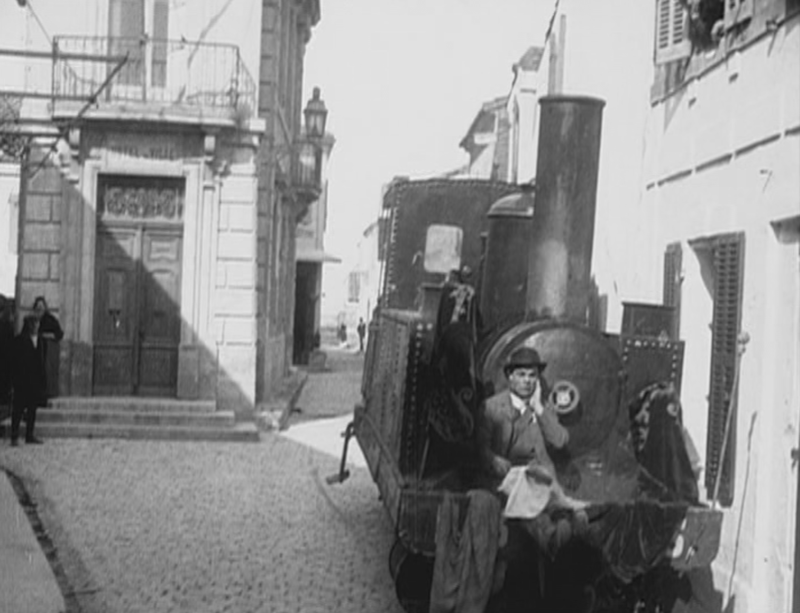 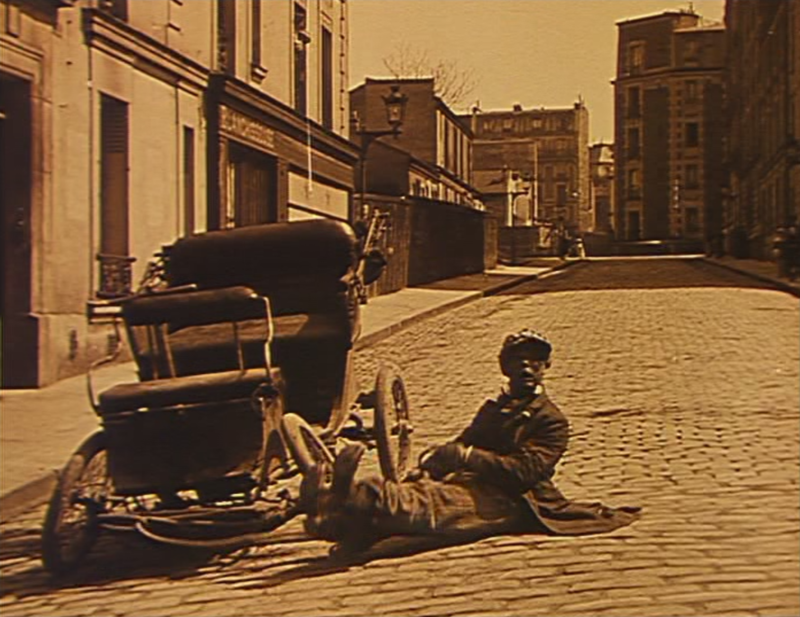 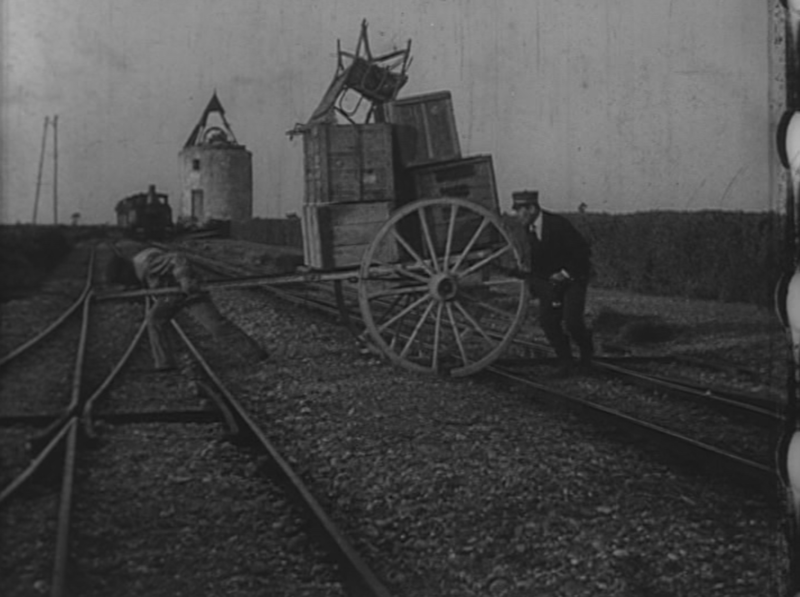 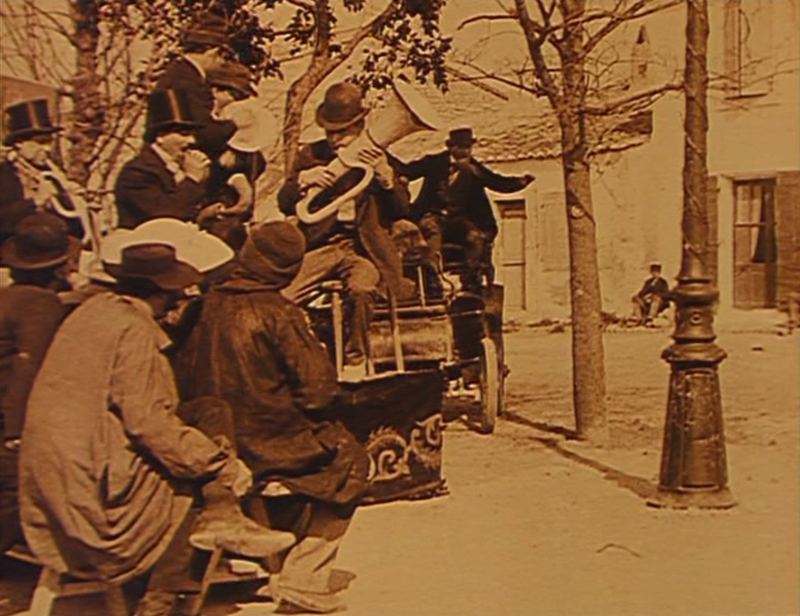 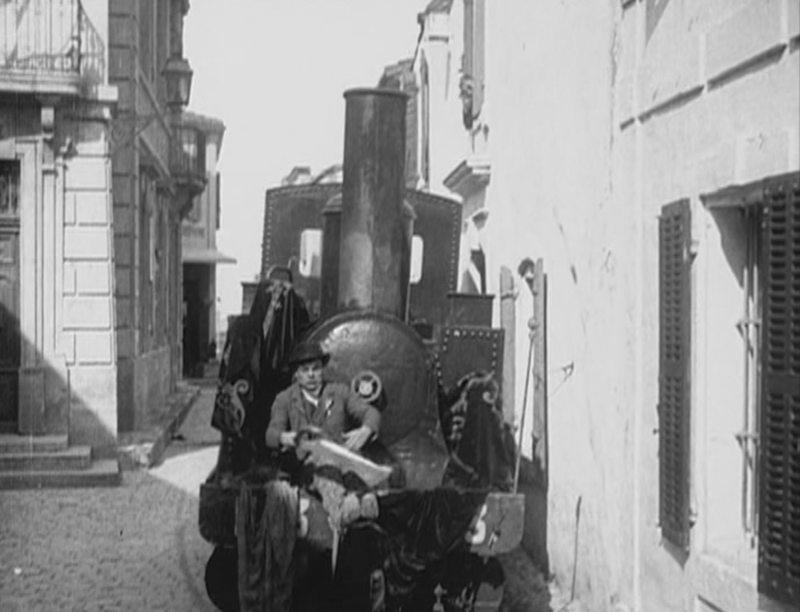 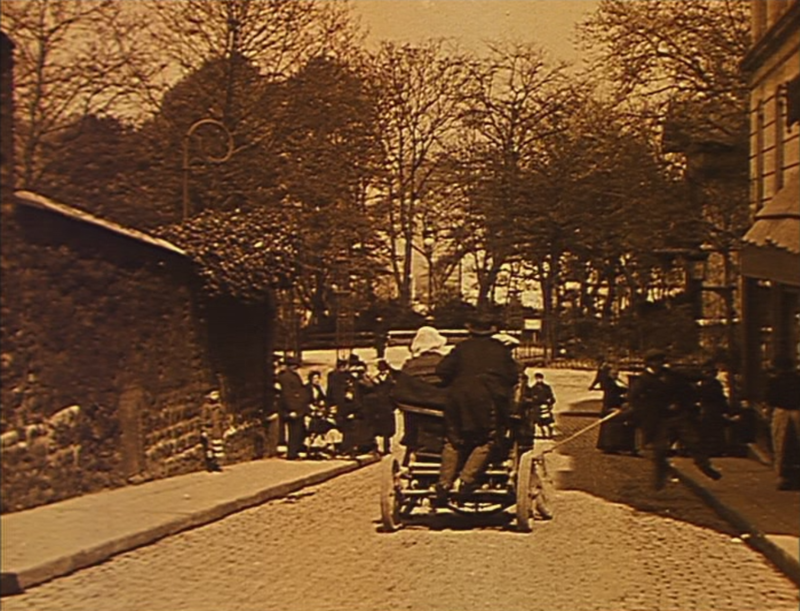 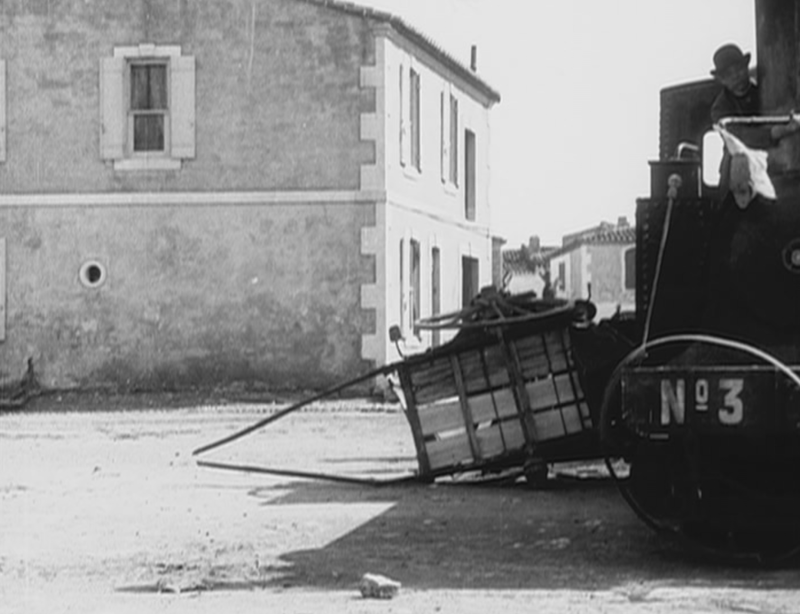 In Jean Durand's 1912 film Zigoto promène ses amis, called in English Zigoto and His New Motor-Car, Zigoto and friends set out from his home in a car that, failing an authoritative identification from the Internet Movie Car DataBase, I think is a c. 1900 De Dion Bouton vis-à-vis (correction or confirmation here, please). 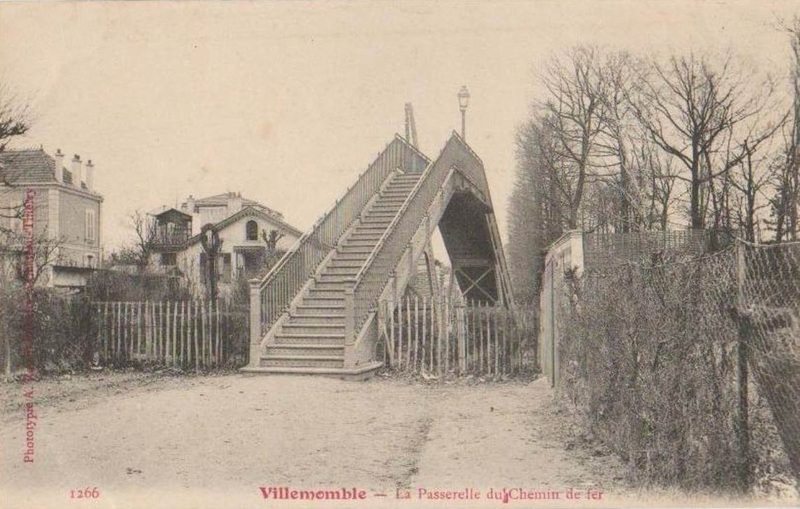 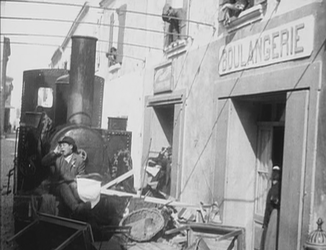 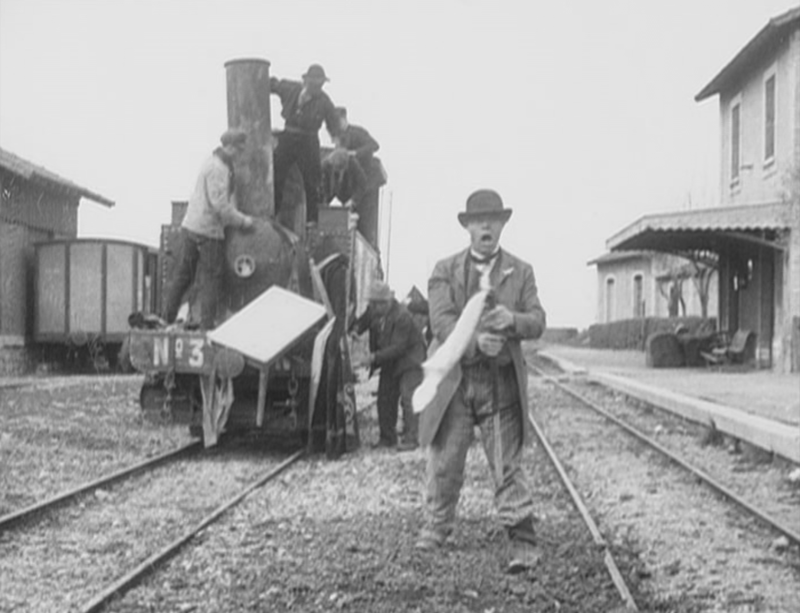 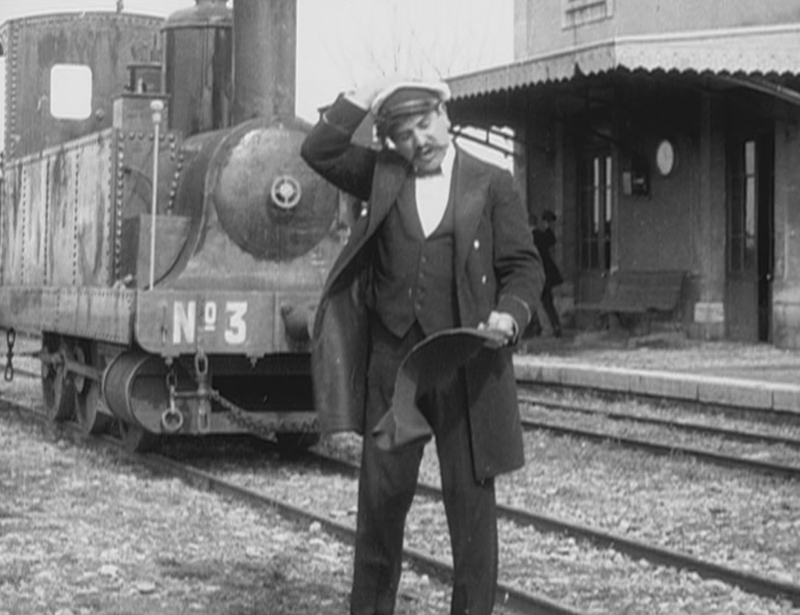 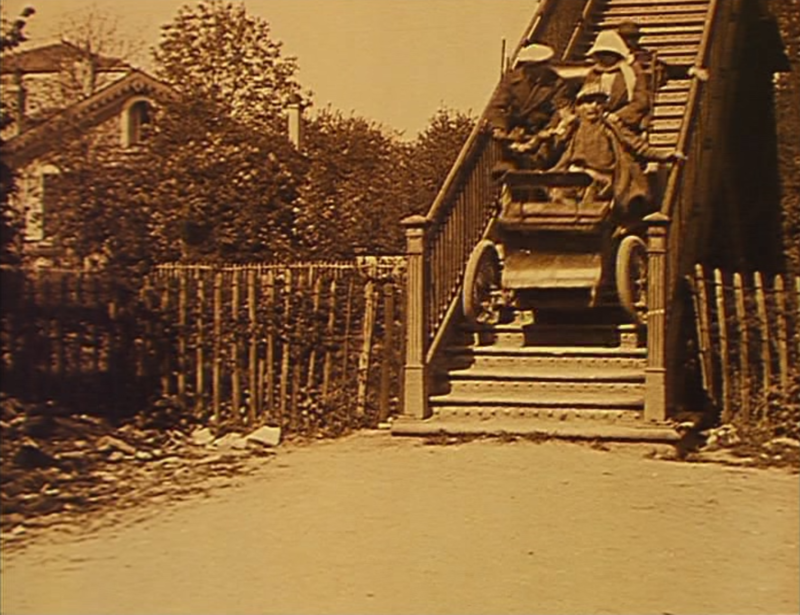 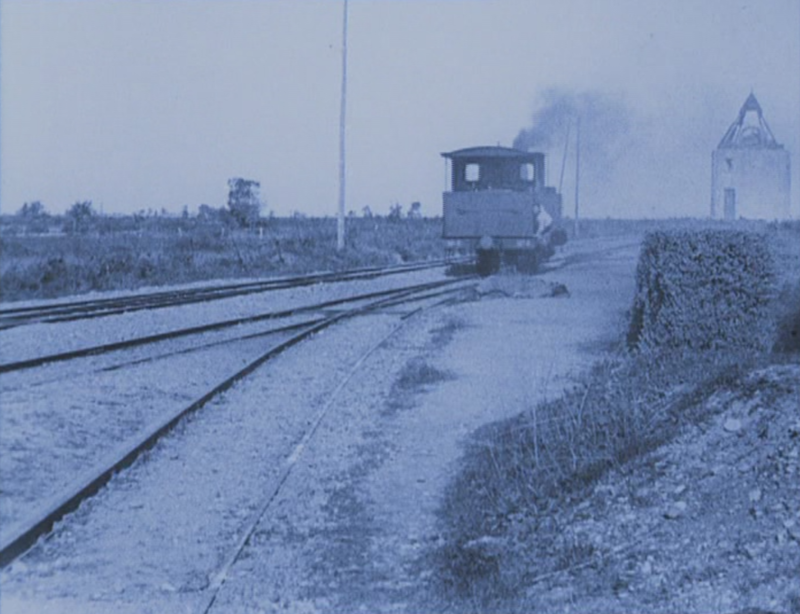 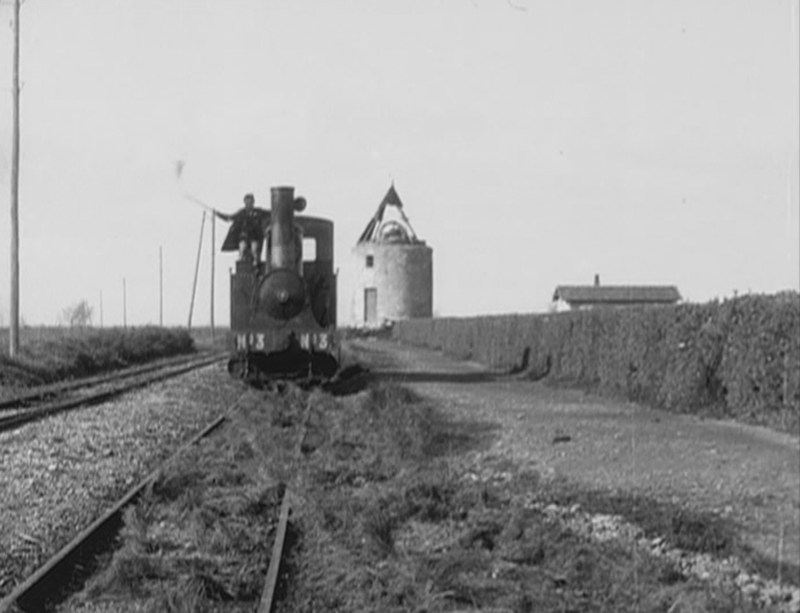 This is the footbridge over the railway at Villemomble, a town in the suburbs east of Paris that was a frequent location in Gaumont films, especially those by Louis Feuillade, who lived in Villemomble. 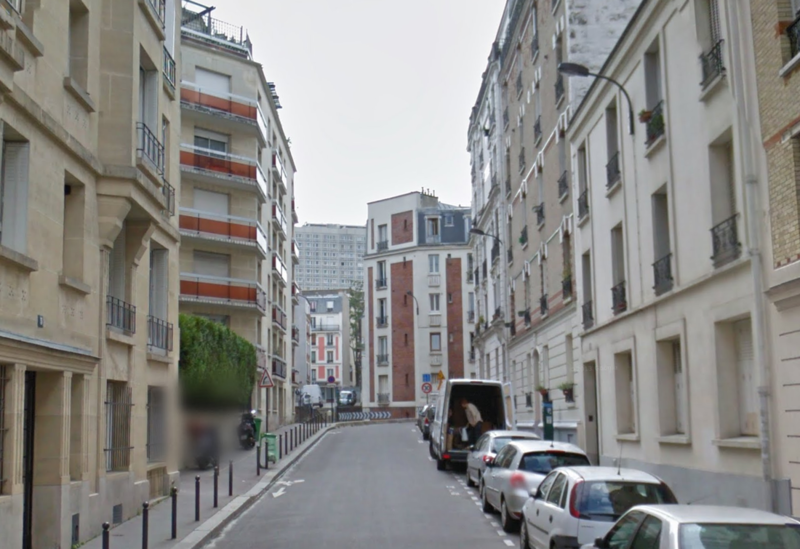 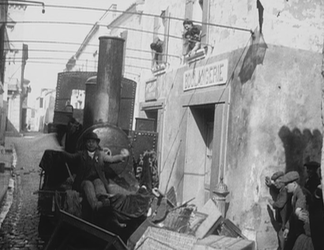 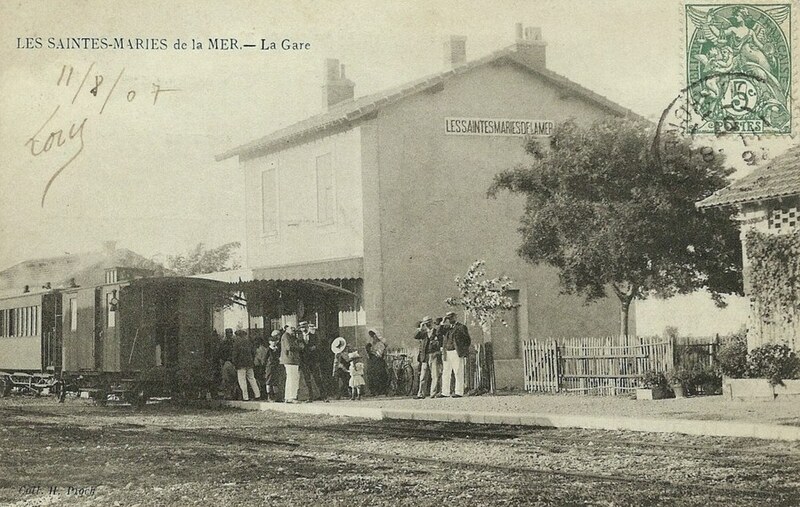 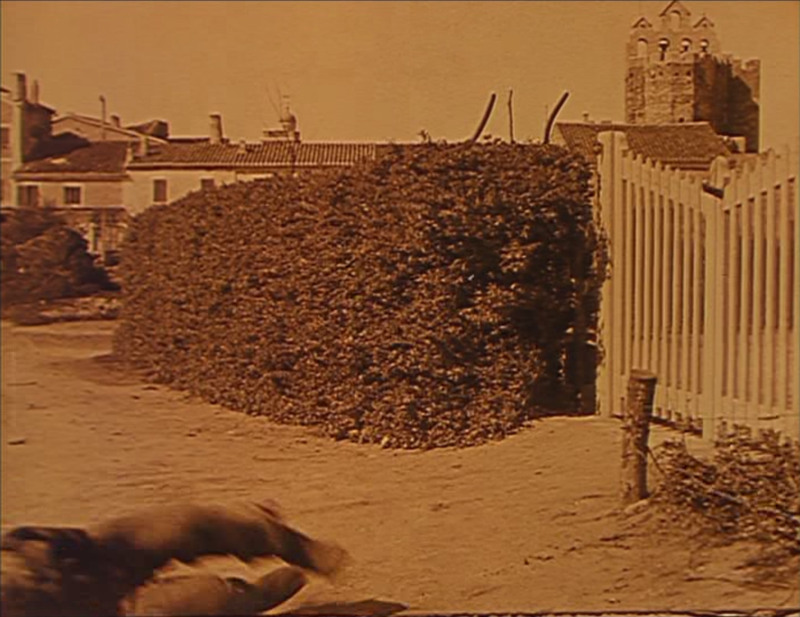 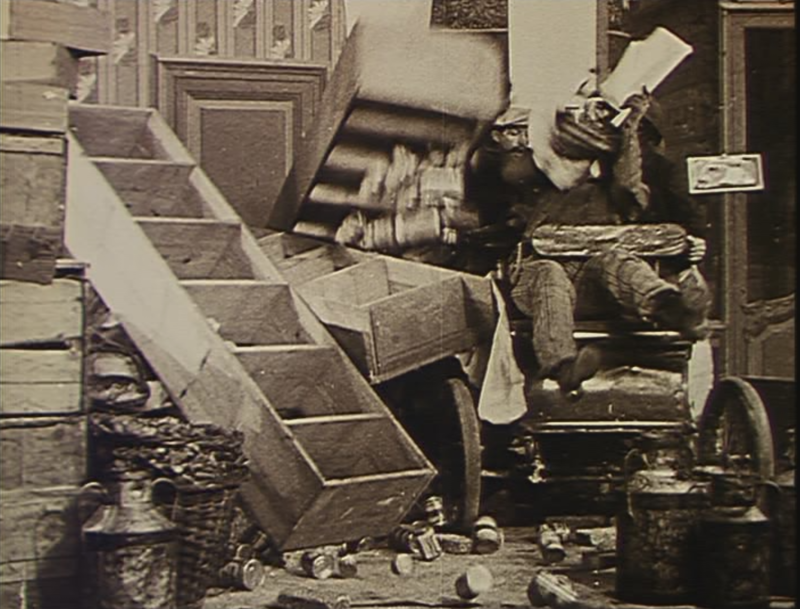 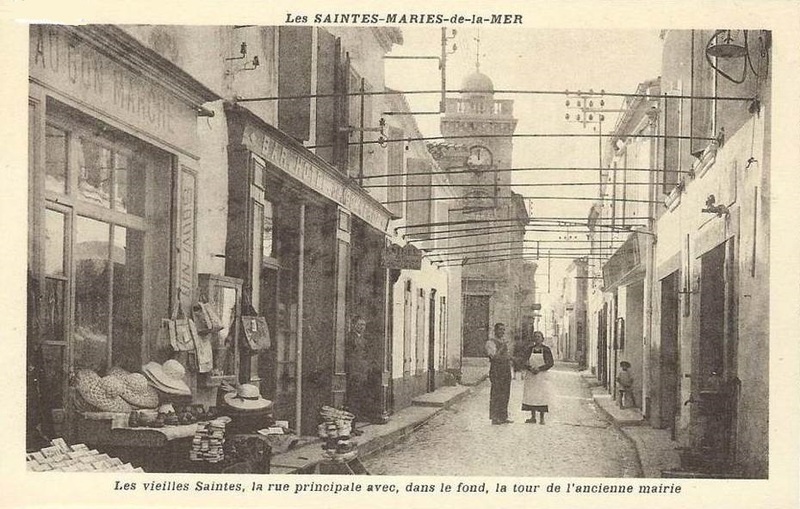 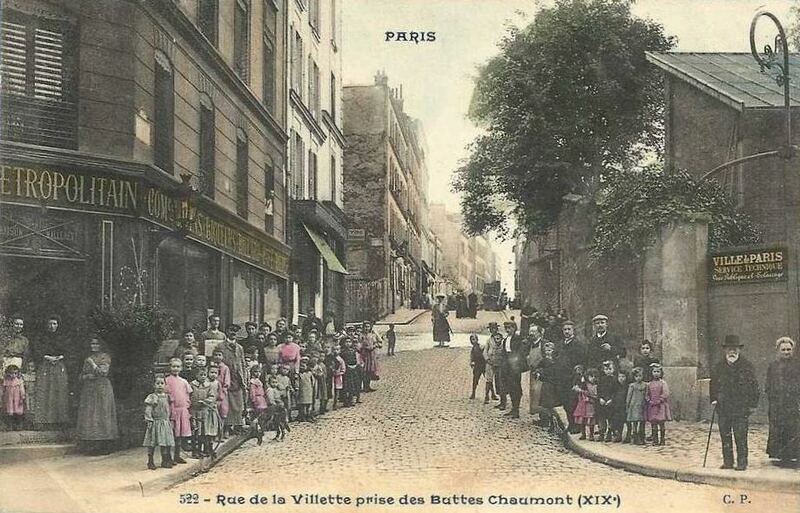 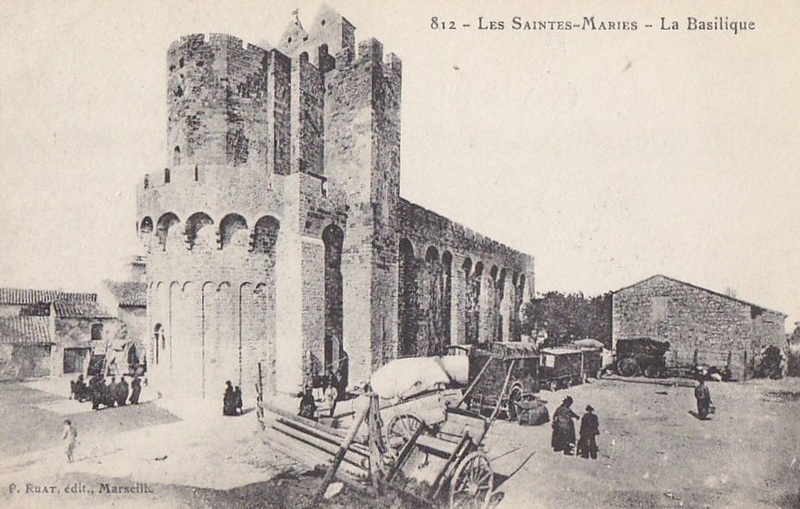 I have found this location in seven different Gaumont films, from Alice Guy's Le Lit à roulettes in 1907 to Louis Feuillade's Le Gamin de Paris in 1923. 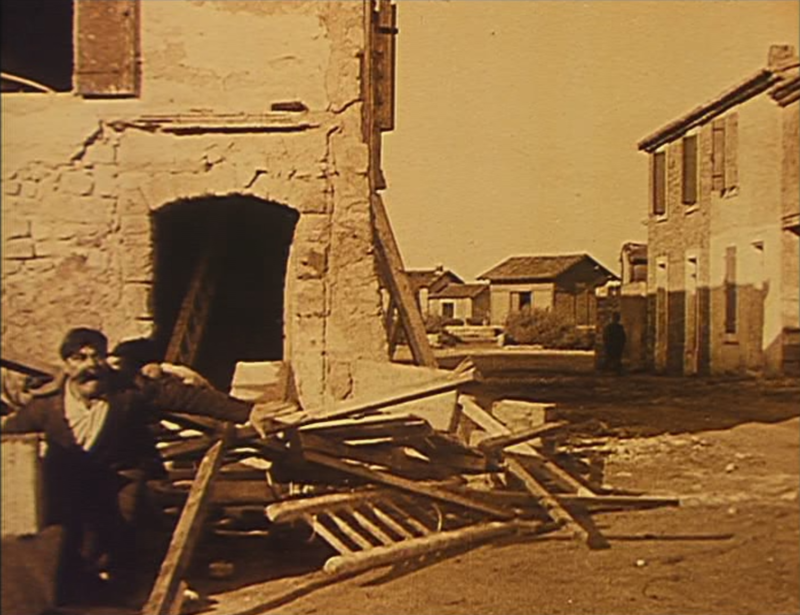 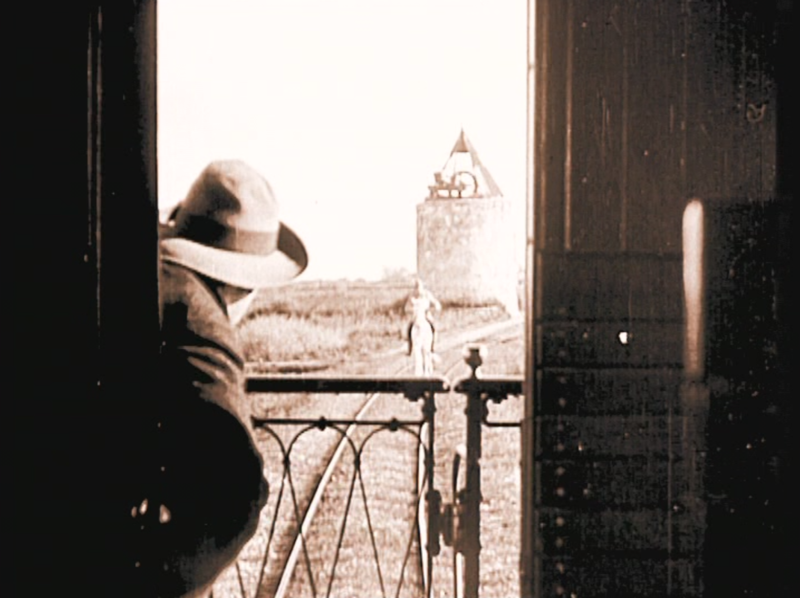 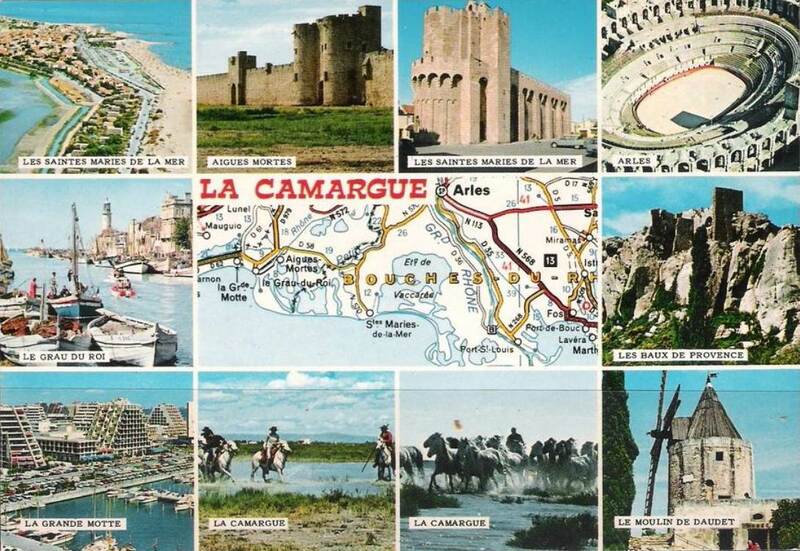 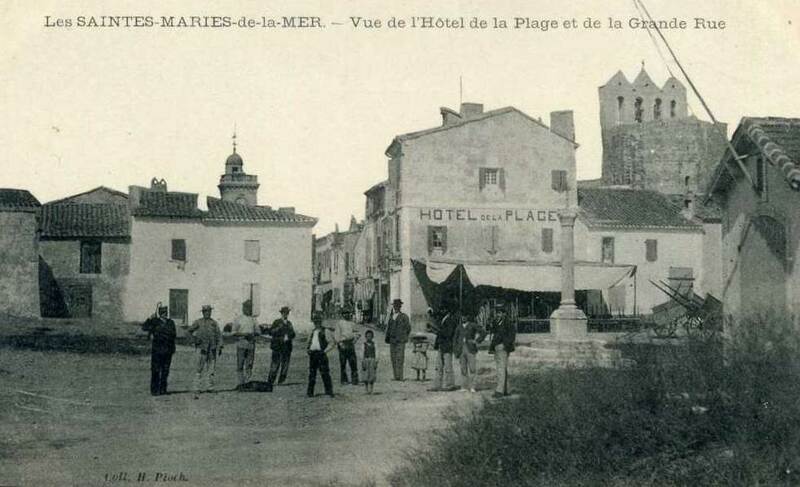 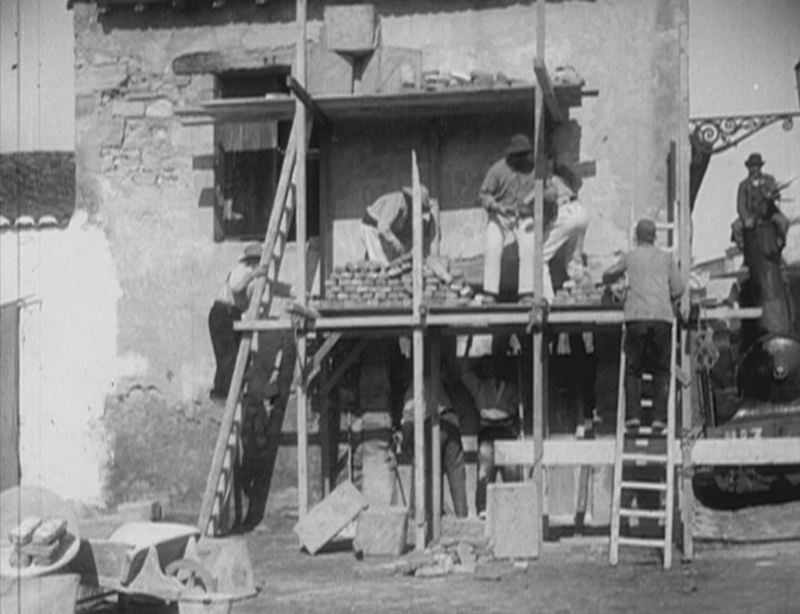 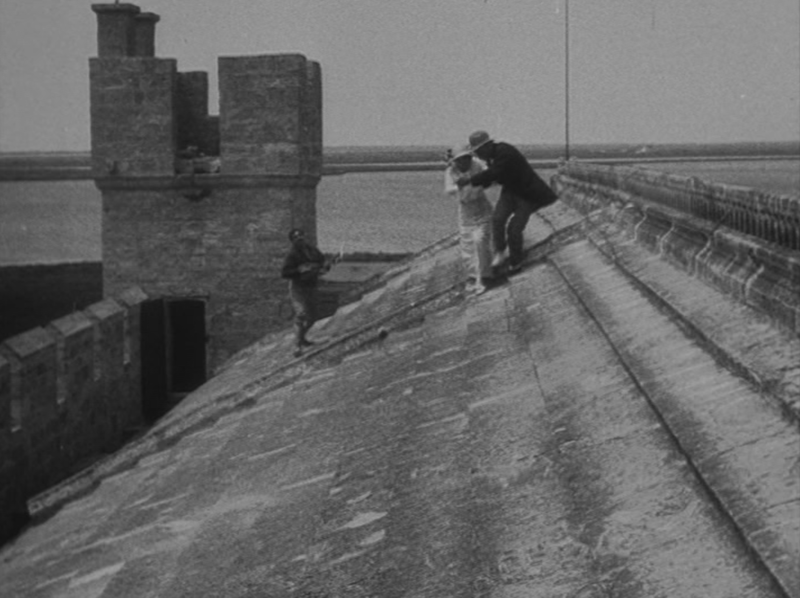 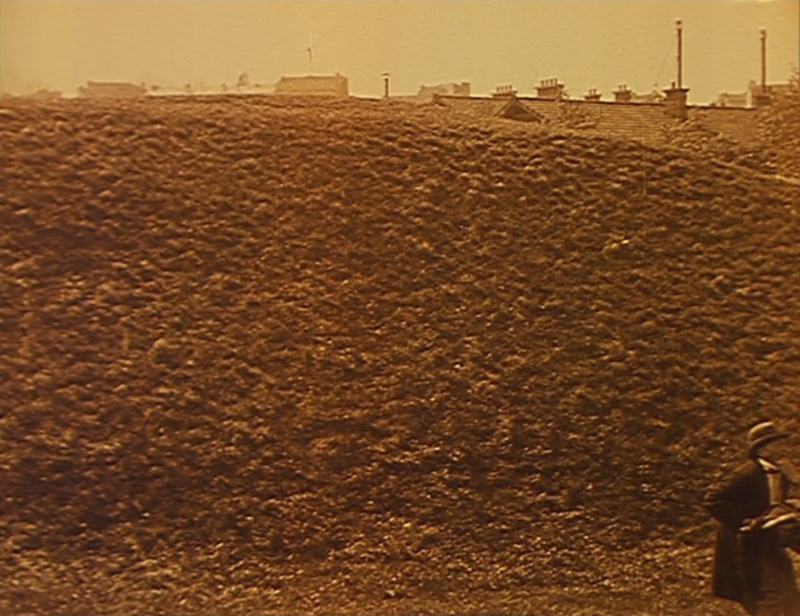 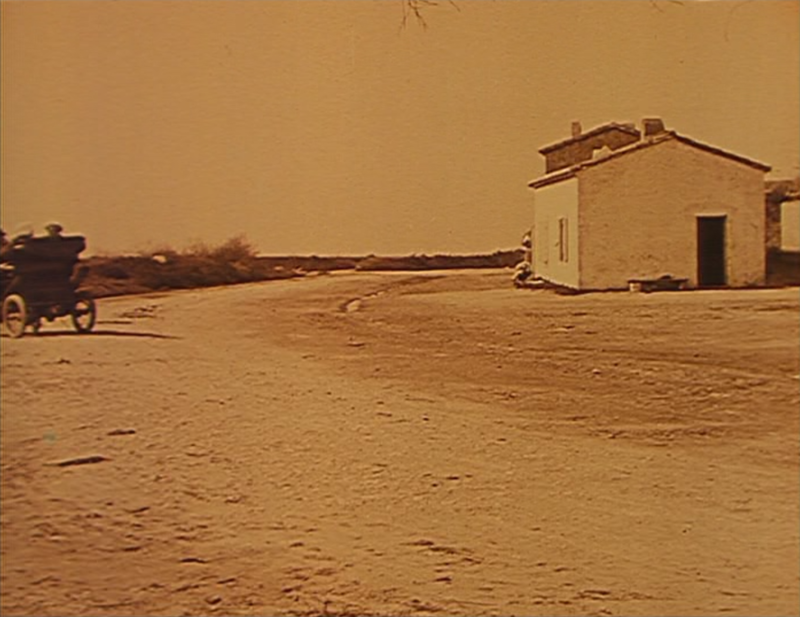 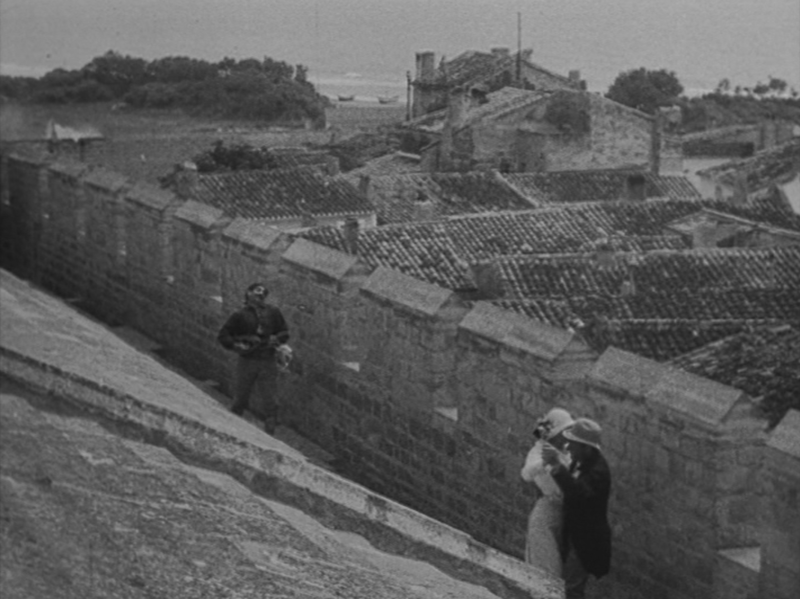 Zigoto has returned home, though when he had set out from home he was over 600 kilometres away from the rue de la Villette, on the Mediterranean coast.